This year, Jeremy would finally be allowed to trick or treat without his parents’ supervision, and he’d been looking forward to visiting the neighborhood’s most famous October attraction. Now, after all his anticipation, it felt like Halloween had been cancelled. To his young mind, even a grieving family deserves some version of the traditional “trick” but Jeremy’s impulsive act of revenge has far-reaching, terrifying consequences. 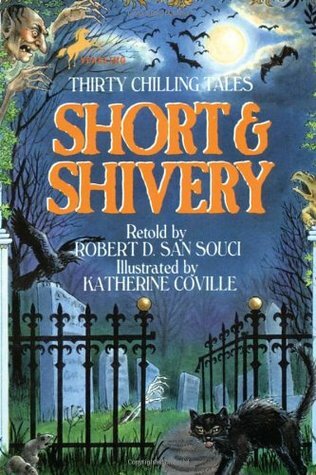 I came across this digital short story last year on Fantastic Fiction while I was doing a search for a random story I once glimpsed on Amazon a couple of years ago. You have to understand I’m prone to doing that if I have some bare trace of memory for a book or story and I’ll sometimes dedicate too much time on Amazon and Fantastic Fiction to try and locate it. I came upon this story in my searches and thought the title sounded interesting. 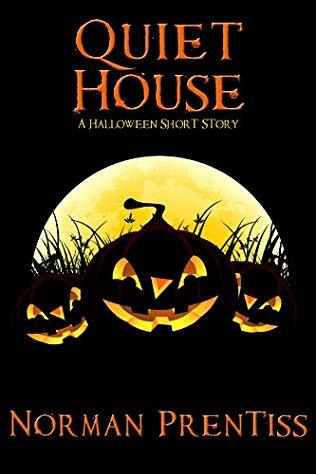 I purchased it through Amazon Kindle for a dollar, which is where I suggest you buy it as well to show support because this story, this, this is… I did not come into this story prepared for how dark it goes, and was assuming it’d be some “Tales from the Crypt” esque journey where the neighbors get revenge on Jeremy for his trick. You aren’t prepared for how brutal this goes. Tagline: There’s Only One Way Out! Summary: Talk About Being In The Doghouse! It’s Halloween. And you’ve just taken the Ultimate Challenge. You’ve entered the town’s most horrifying haunted house – Payne House. So ready or not, you’ve got exactly one chance to survive. All other paths point to THE END. Your end! Because roaming through Payne House is a giant dog-beast who wants to put a choke-chain leash – on you! Not to mention the drooling Tongue Thin that’s having a major snack attack! 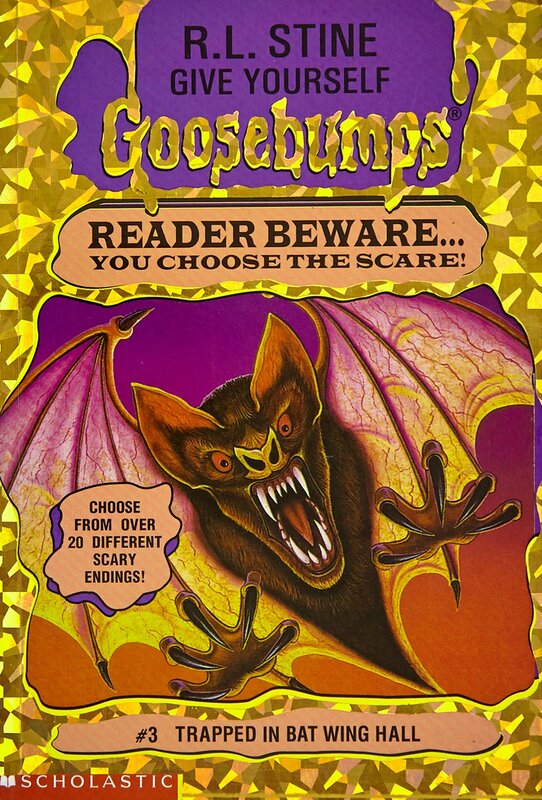 The choice is yours in this scary GOOSEBUMPS adventure! 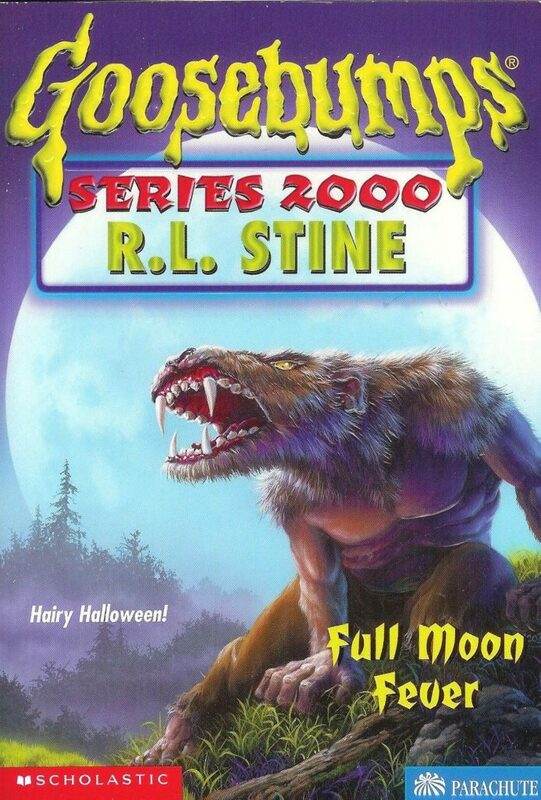 It’s packed with over 20 super-spooky endings – but only one way out! 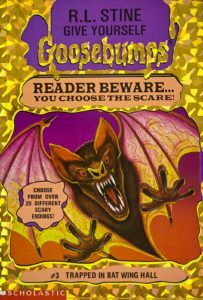 For this year’s Halloween Extravaganza, join me in my very first recap of the Give Yourself Goosebumps sub-series. 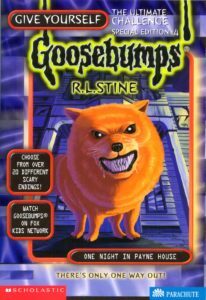 I’ve been on the fence about how to recap these entries for months because they aren’t straightforward tales like the usual Goosebumps books. 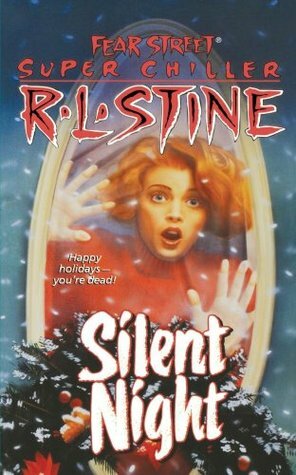 But when thinking about recapping this particular book for Point Horror, I had an idea. 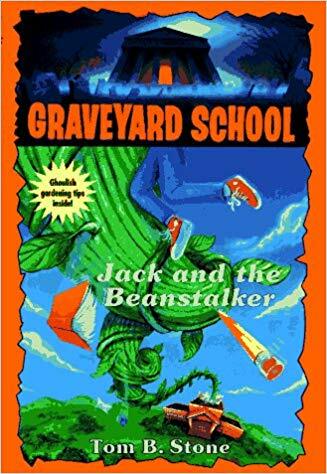 I’ve come up with a system where, instead of recapping the books like a game with a system of lives if I get a bad ending I will review straight through into one of the good endings. If a book branches off into two storylines, I’ll review both in the same article. 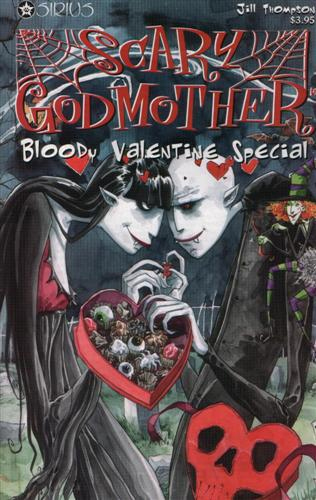 As you guessed from the summary, this book claims to have only one good ending out of dozens of bad ones. 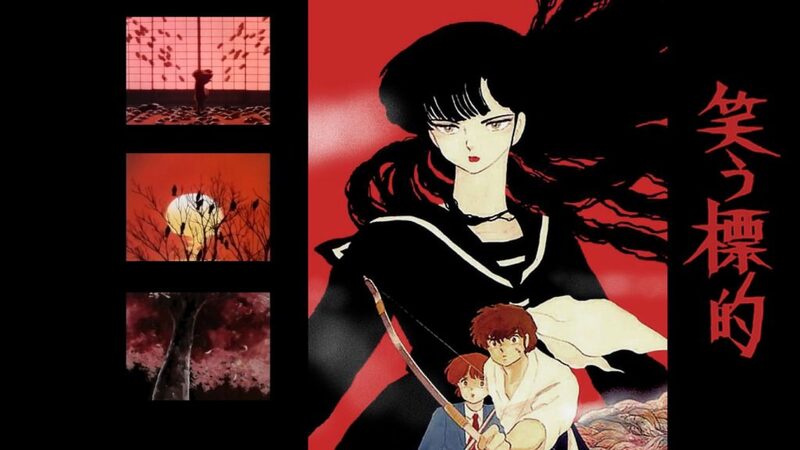 However, even the supposed good ending is debatable. Like the other special edition stories, these rely on an inventory system as you pick things up along the way. When I first bought and read this, I ALMOST made it to the good ending and then died. 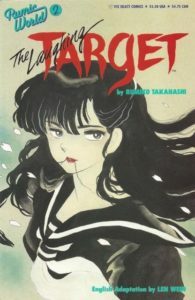 Mark Nagata was the original cover artist for the series (well Tim Jacobus did the first cover), but when the layout got redesigned Craig White was hired as the new artist. I think both are amazing, though. 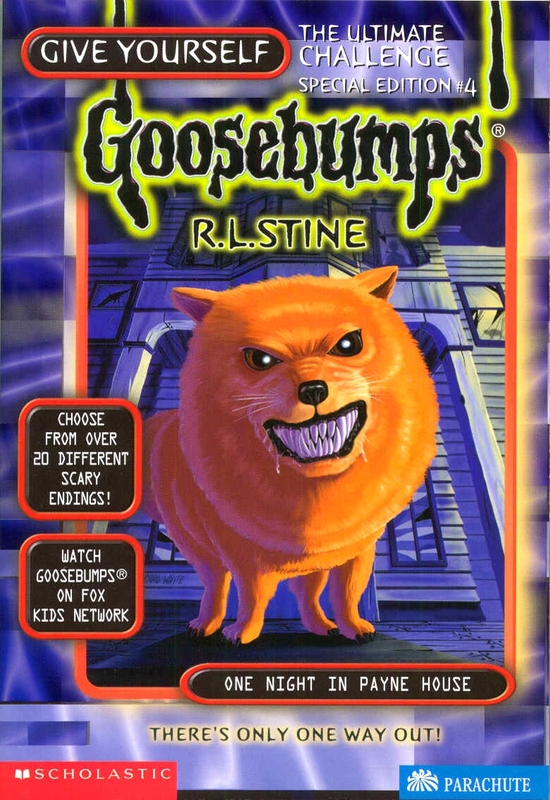 Posted in Goosebumps Recaps | Tagged annoying main character, author: r l stine, awesome creepy house, cool location, give yourself goosebumps, goosebumps, needs more werewolves, recaps by jude, supernatural oooooh!